The Yeezy Boost 700 “Salt” is set to become the first adidas x Yeezy release to debut in 2019 and it’s certainly kicking things off in style. 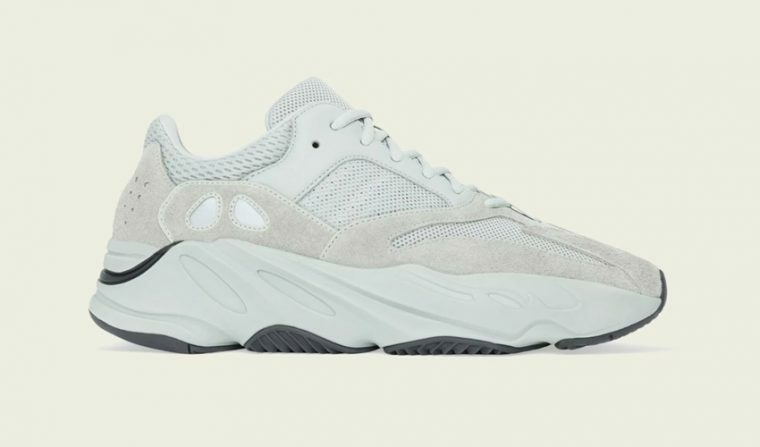 Decorated in a chic stone-cream colourway with an off white midsole and slate grey outsole completing the look under foot, the “Salt” presents Kanye West’s most minimal interpretation of the Wave Runner yet. The hip hop mogul’s updated design was leaked towards the end of last year and it has been highly anticipated by sneaker aficionados ever since. Fashioned with a layered leather, suede and mesh upper influenced by the everlasting dad shoe trend, Ye’s 700 joins the Desert Rat, which was also painted in the collaboration’s understated “Salt” palette in 2018. Reported to be releasing on February 23rd, the Yeezy Boost 700 “Salt” will be available in limited numbers, including sizes for kids and infants. Be sure to stay tuned for more information ahead of the launch and check out Mr. West’s never before seen Yeezy 700 colourway which was unveiled on Instagram this week.